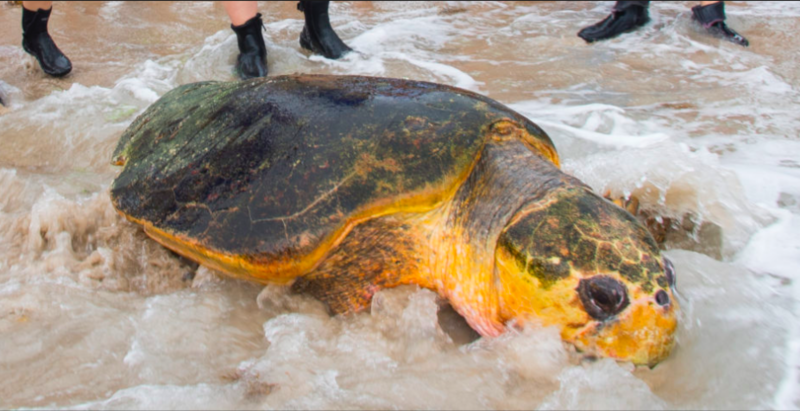 When this 200-pound sea turtle found itself in a dangerous situation, it looked as if things weren’t going to end well. 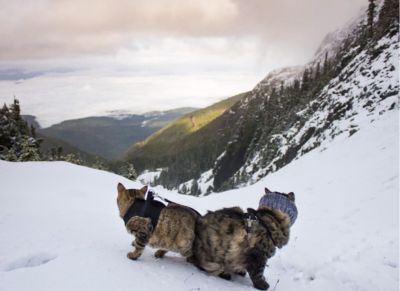 Luckily, a group of people happened upon it and quickly decided to help out. 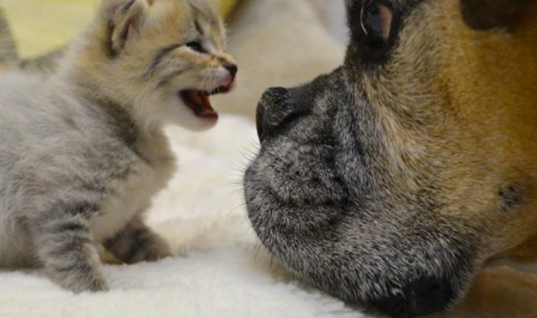 What happened next was nothing short of miraculous. 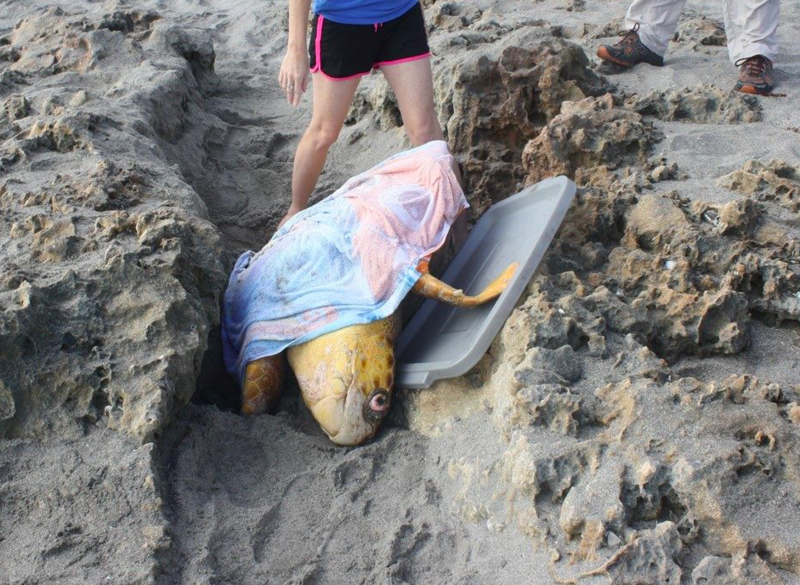 A 200-pound loggerhead turtle got itself into a difficult situation in Martin County, Florida. Believe it or not but this particular area of Florida is actually pretty dangerous for many sea turtles and you won’t believe why. 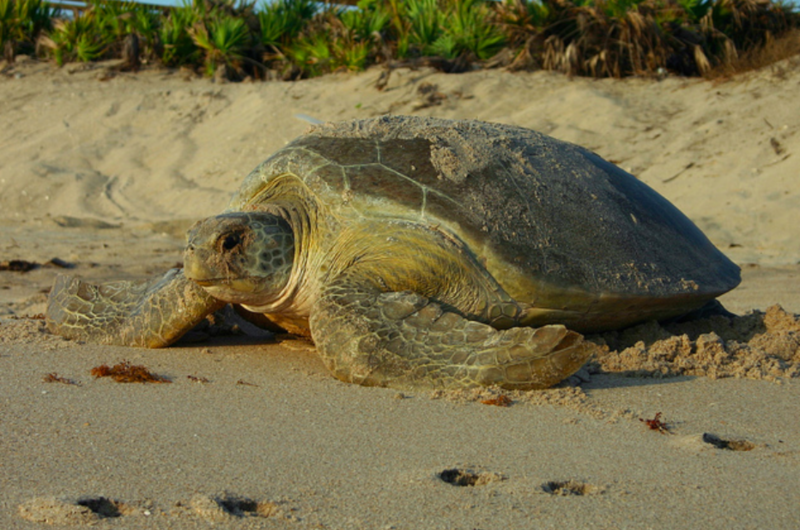 Blowing Rocks Preserve in Martin County is surprisingly dangerous for many sea turtles. During nesting season, there are tons of rocks formations that are easy for the turtles to get stuck in. 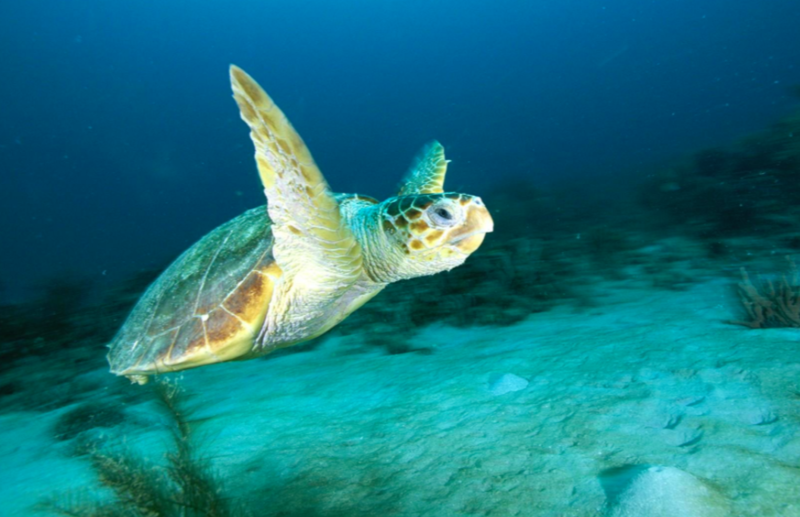 Loggerhead turtles are typically fantastic swimmers and have no problem getting around in the water. However, once they’re on land it can be easy for them to become disoriented. It seems that’s what happened to this turtle. 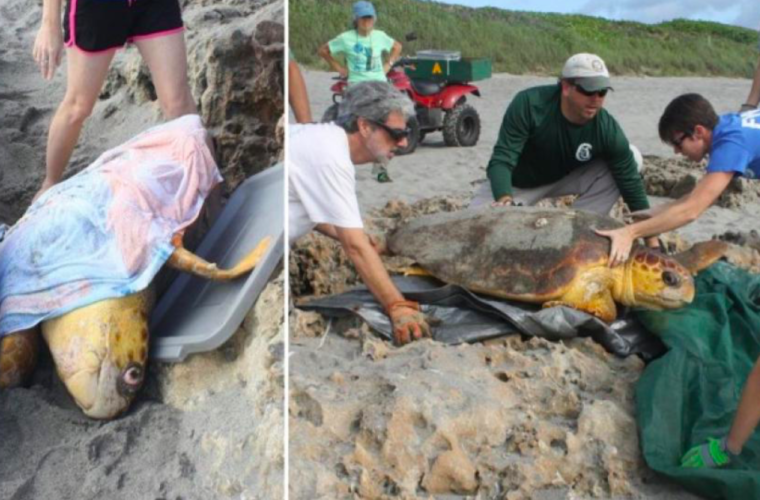 Things were looking pretty bad for the poor female sea turtle. Then, miraculously, a group of people walked by the rock and saw that she was stuck. 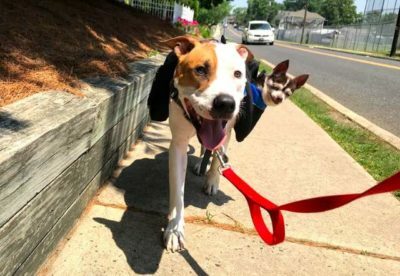 They decided that they would try to help out. 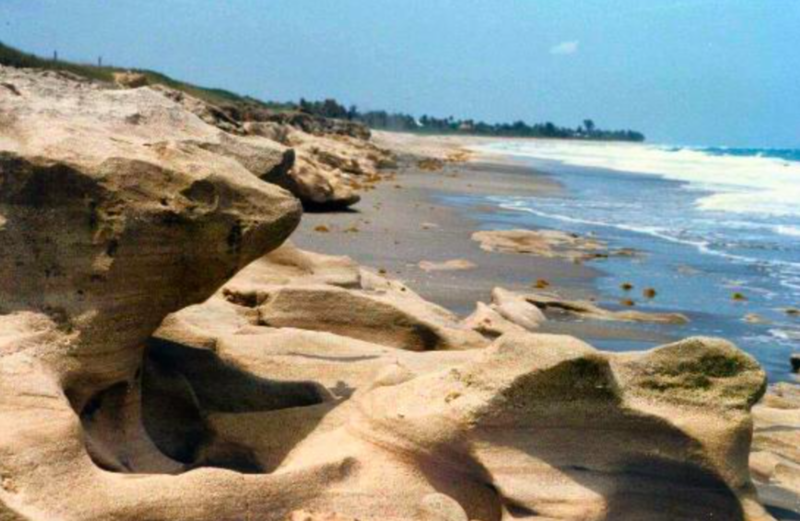 Rock formations on the beach capture and trap around five sea turtles every year. 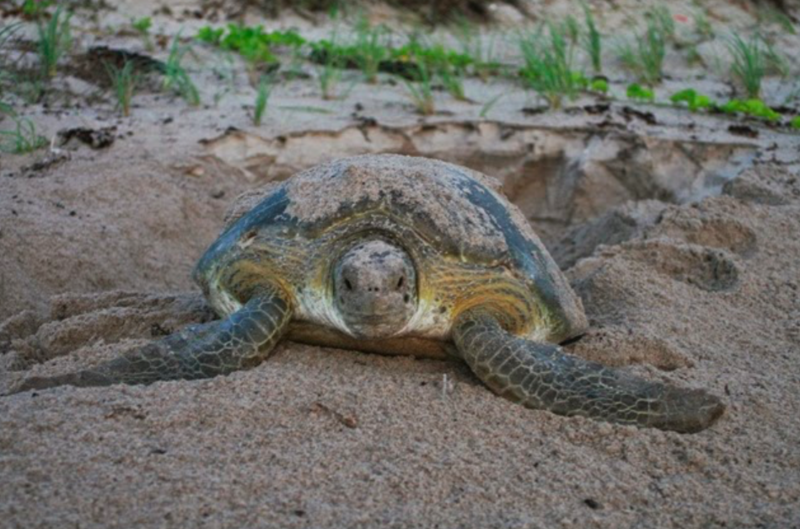 With this knowledge readily available, many volunteers head out and look for any trapped turtles during nesting season. 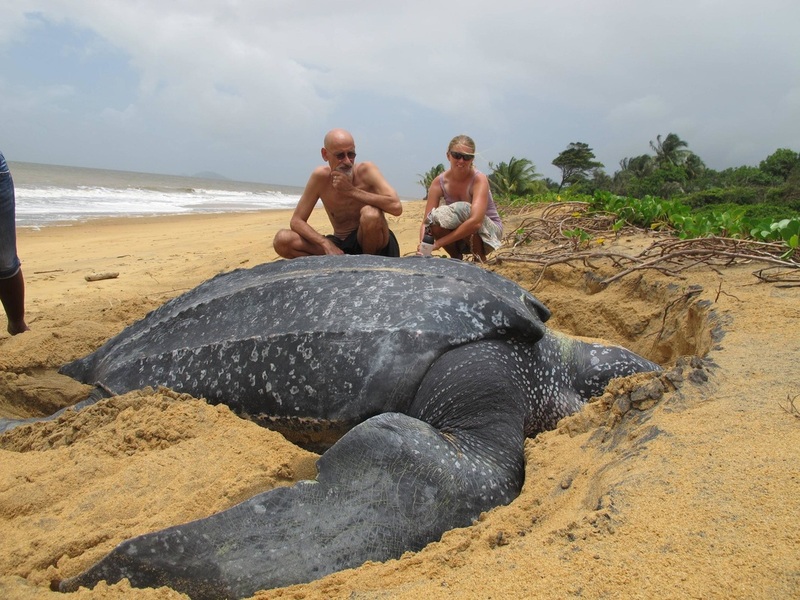 This turtle, in particular, was very lucky that a group of men saw her just in time. 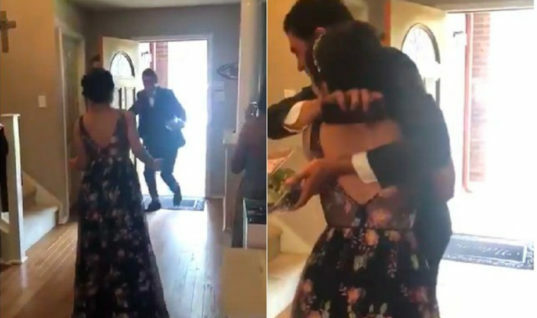 What happened next is amazing! 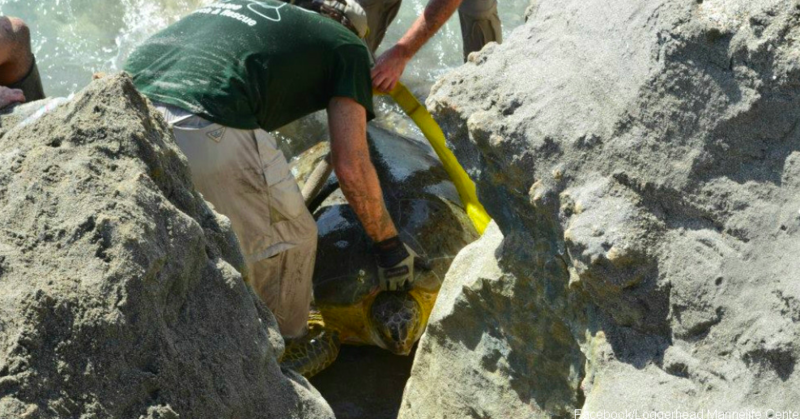 Volunteers attempted to lift her up with just their own manpower, but the turtle was way too heavy to be lifted. 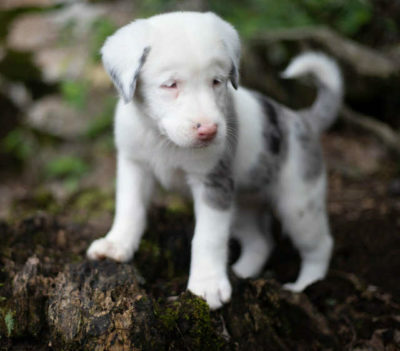 They knew that they needed some back-up so they phoned the Florida Fish and Wildlife Conservation Commission for help. 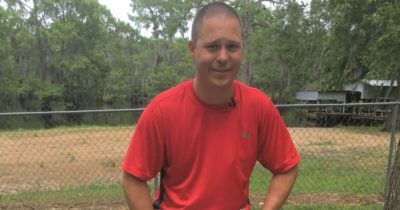 The FWC quickly offered to send over some more people that would help out. 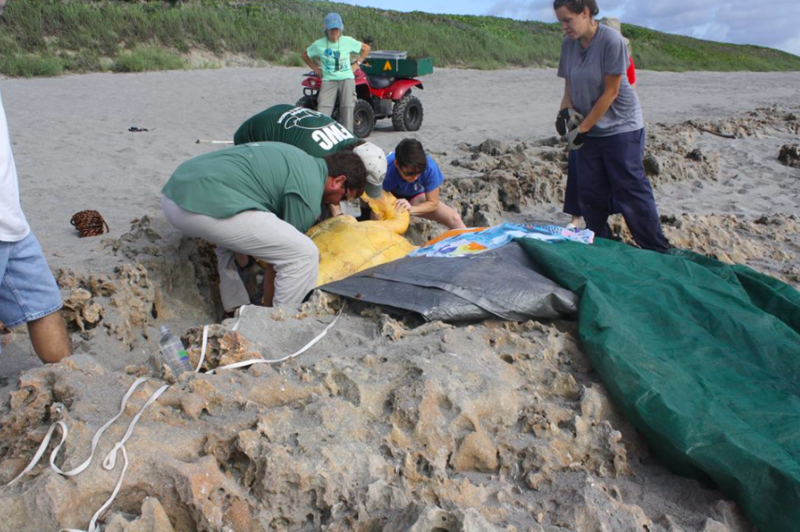 While the volunteers waited around they made sure that the turtle stayed safe. They wanted to make sure that no rocks hurt or killed the poor trapped turtle. Finally, back-up from the FWC arrived on the scene. 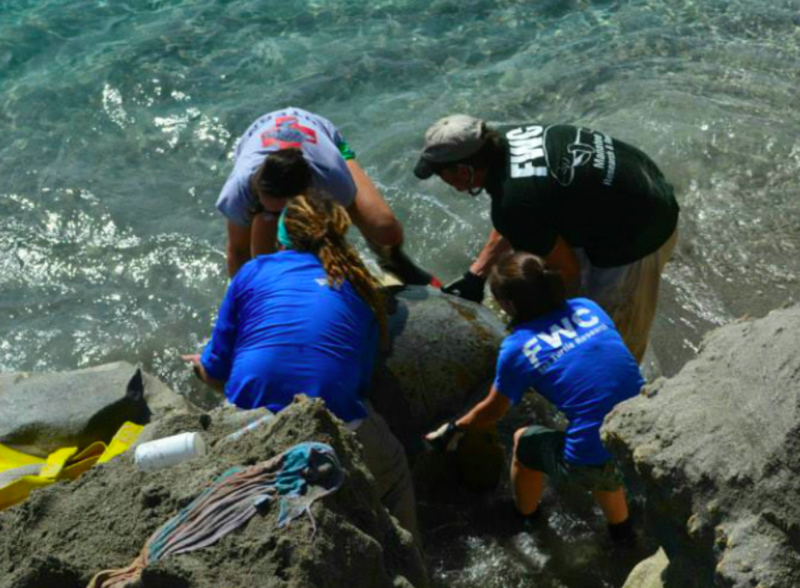 All of the volunteers put their heads together to concoct a plan to help rescue the turtle. Finally, they thought of what to do. The plan was simple: they would dig out the sand from underneath the turtle and lift her up to place her back on her stomach once again. So the team got to digging. 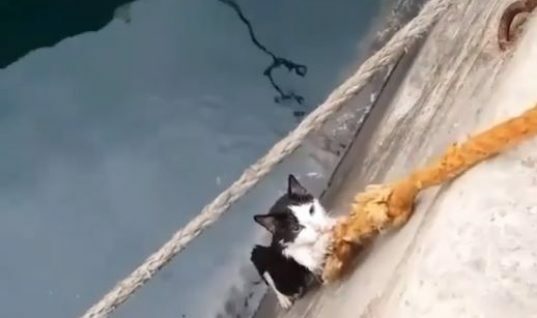 Did their plan turn out successful? Once the team had managed to get the turtle back on her stomach it was all clear sailing from there on. The turtle began to make her way back into the water where she belonged. Once the turtle was back in the water she began to steadily swim away. 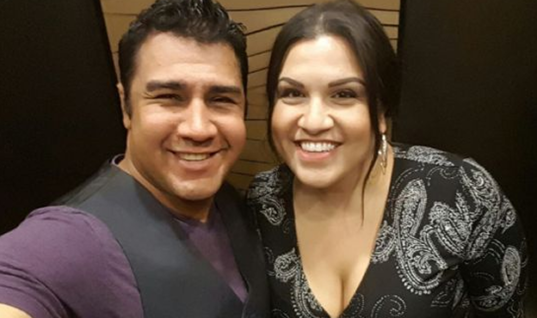 There didn’t seem to be any damage done to her from being trapped in the rock formations. The FWC posted about the incident on their Facebook page. 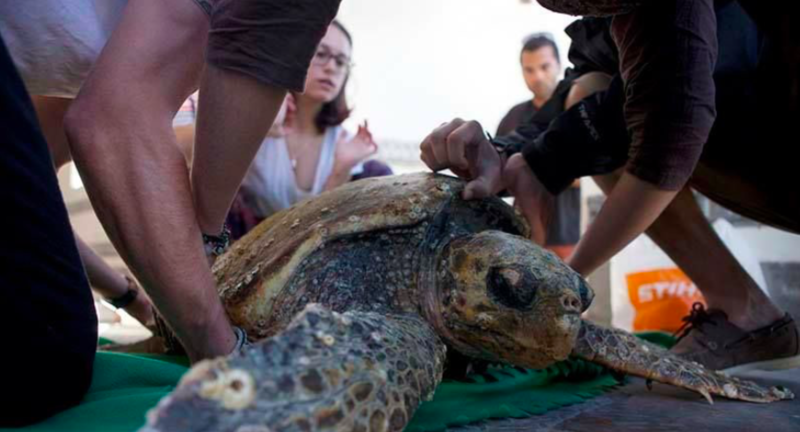 They felt that this would be a great learning opportunity for many beachgoers as to how to help out trapped sea turtles. 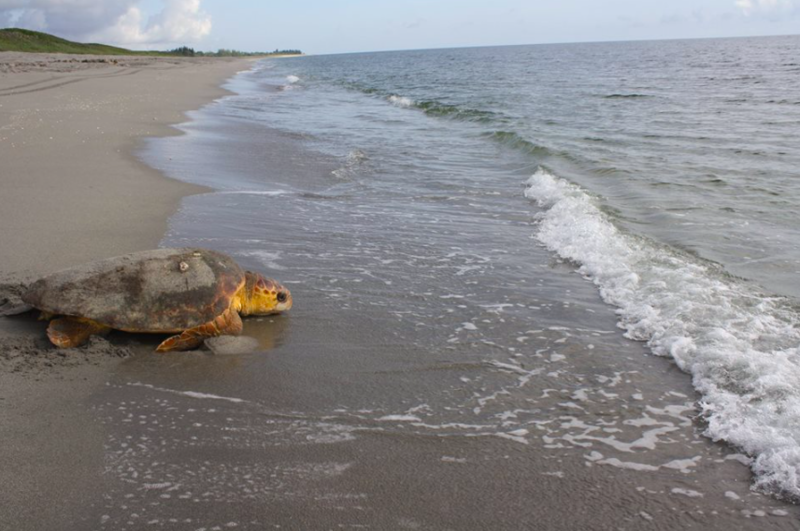 “Once the female loggerhead was flipped over and lifted out, she quickly crawled back into the water and swam off like a champ. 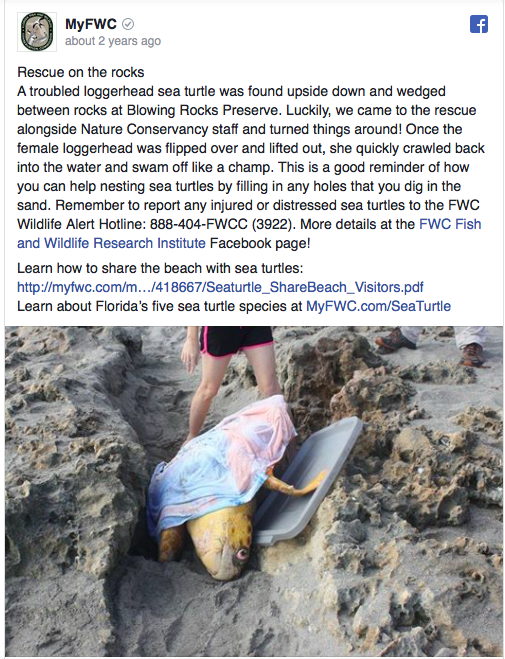 This is a good reminder of how you can help nesting sea turtles by filling in any holes that you dig in the sand.,” the FWC wrote on their Facebook page. 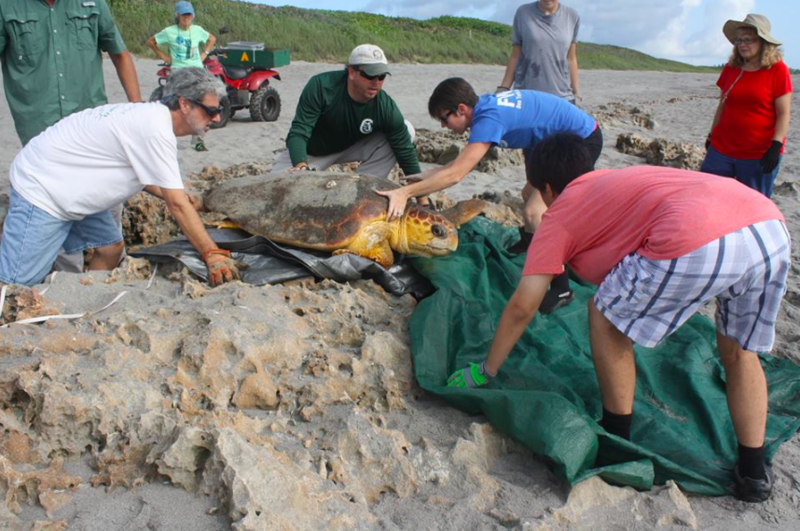 There have been a ton of efforts done to help out loggerhead turtles during nesting season. 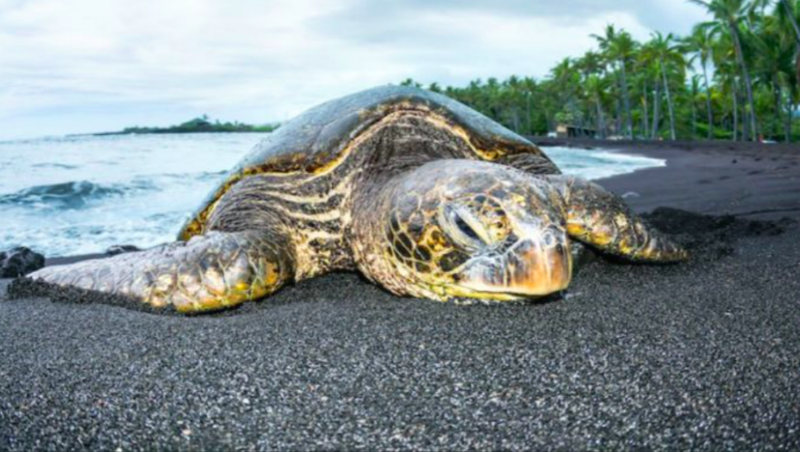 Some of these efforts include declaring 88 beaches “critical habitat” for the species. Even the Coast Guard has gotten involved in helping out the poor loggerheads that get trapped in bad situations. 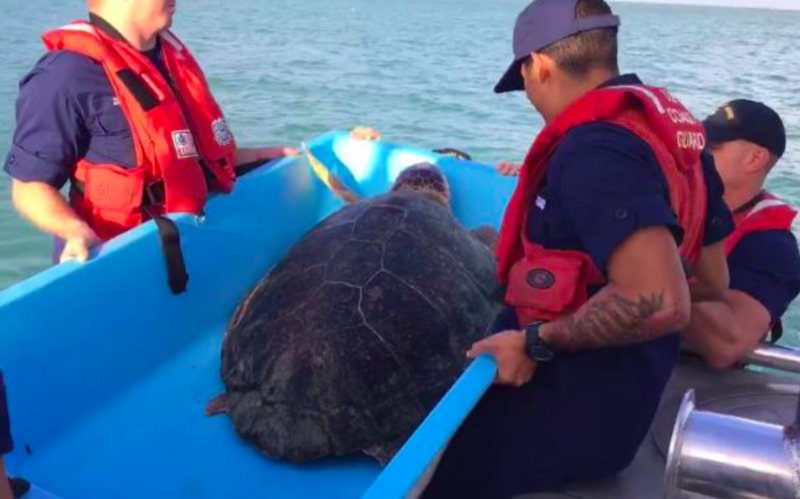 The Coast Guard managed to rescue 200 turtles when they had gotten trapped in cold ocean currents on the North Carolina coast. 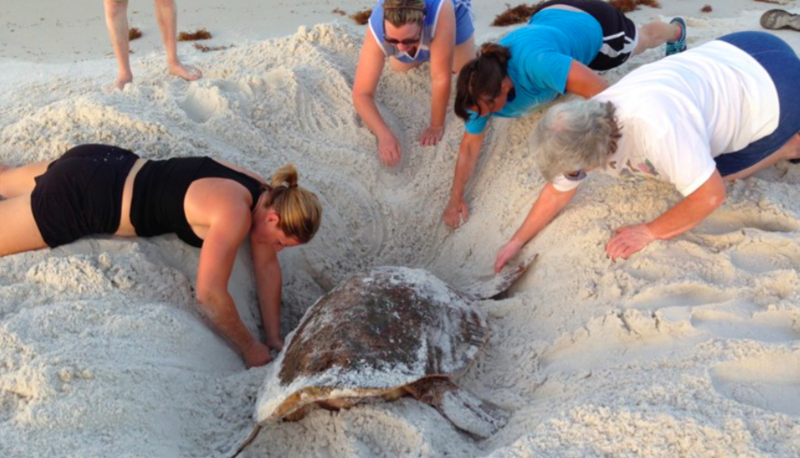 Thanks to these wonderful volunteers another sea turtle’s life has been saved. 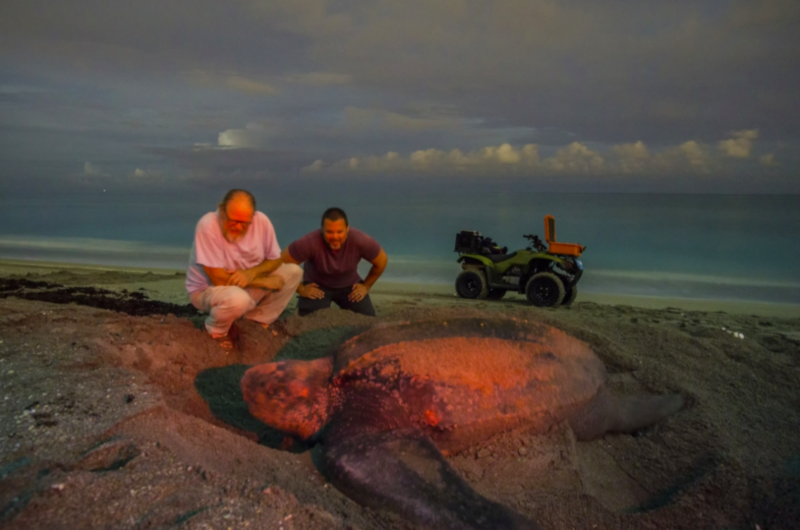 Their dedication to looking out for sea turtles has paid off in the best way. 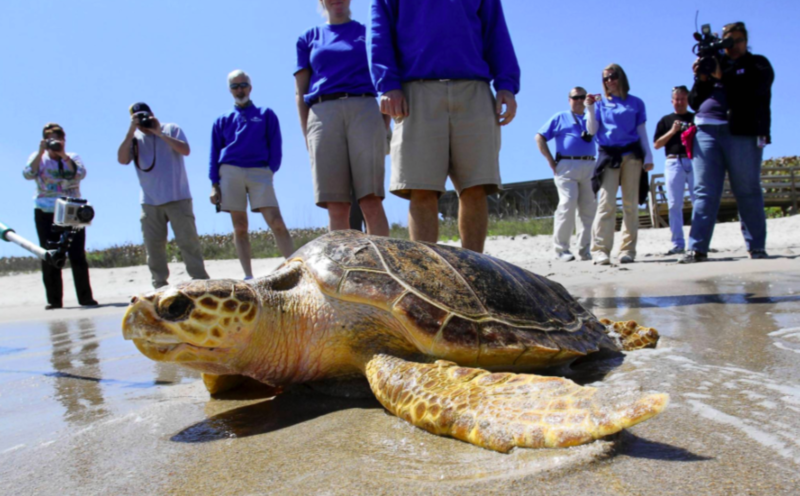 Now this beautiful loggerhead sea turtle can continue living on her life swimming in the ocean. 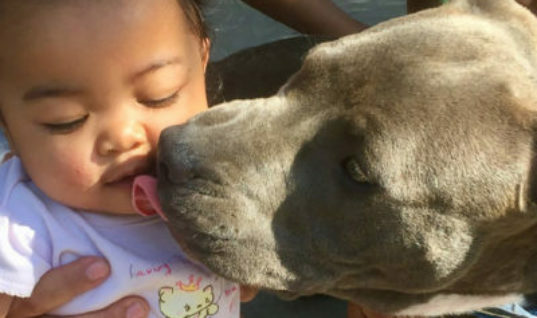 This was a truly miraculous rescue for her! 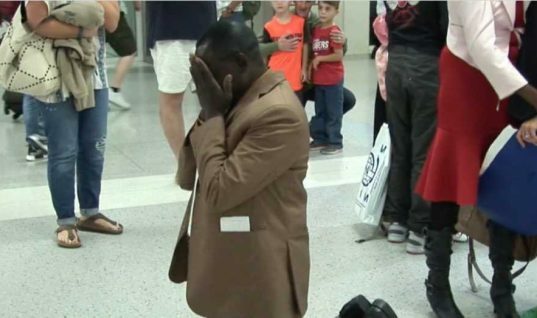 He Was Married for 5 Years But then He Woke Up and Didn’t Know His Wife or Kids.